Drawing – TARTAR SAUCE COMICS. 72: Dark Helmet. 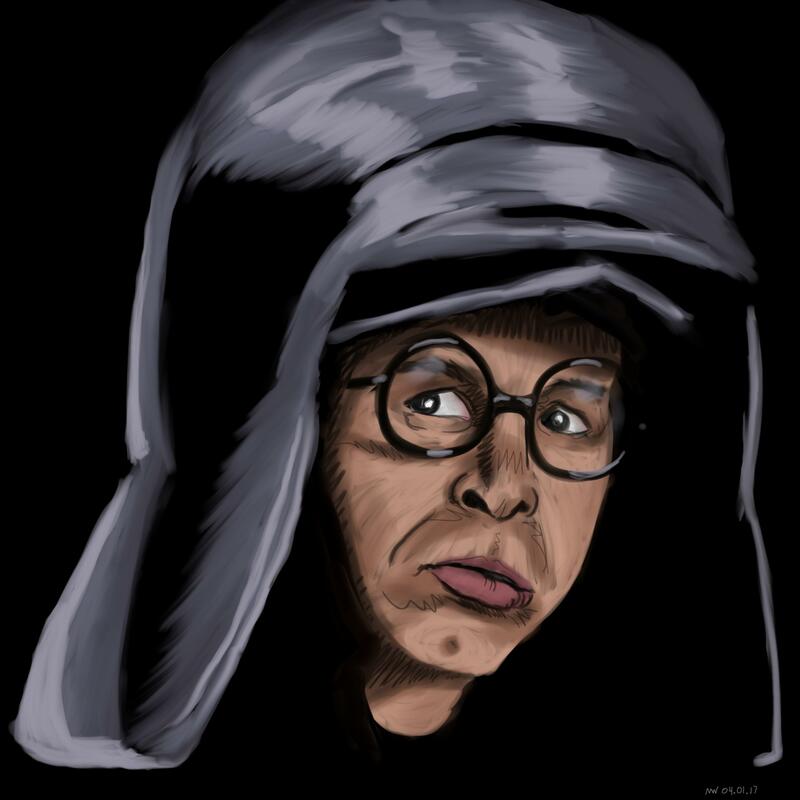 Rick Moranis in Spaceballs had so many great lines and moments and performances, it’s almost stifling to write about them all. There was a period of time where this movie was in more constant viewing rotation at my house than Star Wars itself. It’s my favorite of Mel Brooks’ films, but some of that may be nostalgia. One thing is for certain: I miss Rick Moranis. 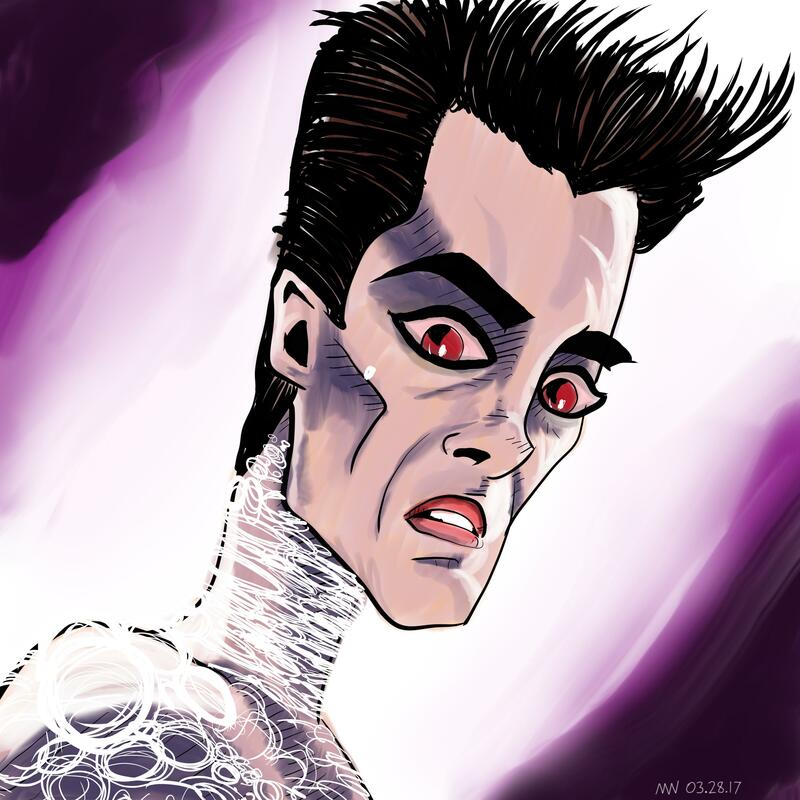 71: Gozer the Gozerian. I remember seeing Ghostbusters in the theater when I was a kid. It scared me, but was hilarious, and I LOVED it. (Still do.) When we got home, I made my dad call the Ghostbusters hotline number on the phone. Pretty sure I got an Operator message, but it was still pretty cool. Narratively, it’s quite a feat that the major villain in the movie is only talked about a couple of times before she appears, and even then it’s only for about 4 minutes of screen time toward the end. And she still makes quite an impression. #69: Sark. The Game Grid persona of Dillinger, Sark was the bad guy lackey to the major threat of Tron, The Master Control Program. The genius of the original Tron wasn’t in its use of early computer animation, or even its amazing design style and incredible rotoscoping techniques. It was the way that what could’ve been simply a fun, Disney romp was actually a story of religious persecution and discussion of humanity’s relationship with our creator/s. Also, people throw laser Frisbees at each other. #68: El Guapo. The villain from The Three Amigos, El Guapo was funny, multi-layered and still fearsome. Dare I say, in-famous? I truly wish I had seen Alfonso Arau in anything else. #67: Zeus. No Holds Barred is not a good movie. That said, there was a time that I devoured everything WWF, and Hulk Hogan was my absolute hero. Zeus was a great villain for him, and Tom “Tiny” Lister’s portrayal was terrifying, even if he didn’t really talk much. I was stoked that he made appearances in the ring after the movie was released, and highly amused by his turn as the President of Earth in The Fifth Element. I Guess I’ll Have to Turn This Place Into A Parking Lot! #66: R.J. Fletcher. Man, I hated R.J. Fletcher. The owner of the rival network station to UHF’s Channel 62, R.J. Fletcher was an incredible antagonist for Weird Al. His character was admittedly one-note, but his evil sneers and laughs were worth the lack of development. Then again, maybe we shouldn’t expect too much out of a Weird Al movie.